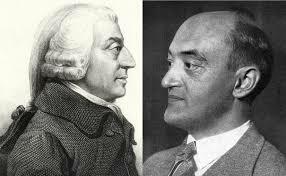 On the issue of the bifurcation of society and the widening income gap in the U.S., and the strains appearing from the factory system in China that have recently been highlighted, there is useful commentary that comes from a surprising quarter, or perhaps not surprising in itself, but in the view taken on the subject: Both Adam Smith and Joseph Schumpeter, defenders of capitalism as the source of “universal opulence”, see a road leading from capitalism to the disenfranchisement of the worker and the vaulting of the elite. Adam Smith is a social philosopher grounded in the search for what is moral and what provides man with the greatest good, with universal opulence. It is to this end that he promotes self-interest as the core of economic exchange, and division of labor as the core of efficient production. But he also admits to unintended consequences of human action and recognizes that government action is required to dampen these negative consequence. Particular acts of parliament, however, still attempt sometimes to regulate wages in particular trades, and in particular places. Thus the 8th of George III. prohibits, under heavy penalties, all master tailors in London, and five miles round it, from giving, and their workmen from accepting, more than two shillings and sevenpence halfpenny a-day, except in the case of a general mourning. Whenever the legislature attempts to regulate the differences between masters and their workmen, its counsellors are always the masters. When the regulation, therefore, is in favour of the workmen, it is always just and equitable; but it is sometimes otherwise when in favour of the masters. Competition was stifled through legal restrictions on the freedom to sell commodities and to supply labor. The government legalized monopolies that gave exclusive rights to sell products, and to limit the supply of labor for some occupations through guilds. Smith repeatedly observes that self-interests would be promoted legislatively at the expense of the public whenever and wherever possible, and this would be more successfully accomplished by the wealthy and well-connected “masters” who could peddle their influence largely unseen: Masters...enter into particular combinations to sink the wages of labour....These are always conducted with the utmost silence and secrecy till the moment of execution; and when the workmen yield, as they sometimes do without resistance, though severely felt by them, they are never heard of by other people. Adam Smith recounts many failings of the market: price fixing (“People of the same trade seldom meet together, even for merriment and diversion, but the conversation ends in a conspiracy against the public, or in some contrivance to raise prices.”); trade restrictions and duties extending from towns to international trade; and influence peddling to Parliament. The man whose whole life is spent in performing a few simple operations . . . has no occasion to exert his understanding. . . . He naturally loses, therefore, the habit of such exertion, and generally becomes as stupid and ignorant as it is possible for a human creature to become. The torpor of his mind renders him, not only incapable of relishing or bearing a part in any conversation, but of conceiving any generous, noble, or tender sentiment, and consequently of forming any just judgement concerning many even of the ordinary duties of private life. . . . It corrupts even the activity of his body, and renders him incapable of exerting his strength with vigour and perseverance, in any other employment than that to which he has been bred. His dexterity at his own particular trade seems, in this manner, to be acquired at the expence of his intellectual, social, and martial virtues. But in every improved and civilized society this is the state into which the labouring poor, that is, the great body of the people, must necessarily fall, unless government takes some pains to prevent it. Here Smith points to the need for government intervention: the alienation of the masses may be remedied if the “government takes some pains to prevent it”. In particular, Smith proposes universal public schooling, a proposal at variance with the view at the time that education would foment rebellion. Like Adam Smith, Schumpeter views capitalism in positive terms, as a force for improving society and making men better off. And like Smith he sees the emergence of a capitalist elite that will by their economic force ride over the mass of workers. 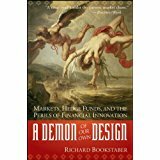 (The growing pains of the Industrial Revolution with farmers and artisans displaced and then engulfed by the factory system was an object lesson that was still only a few generations old when Schumpeter began his academic career). 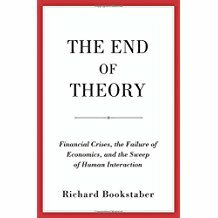 Indeed, his view is that this ultimately will be the demise of capitalism and the rise of socialism. Thus he sees the same end for capitalism as does Marx, but through a path that is largely opposed to Marx's: Not the failure but the success of capitalism, success that is concentrated on the innovative elite, will lead to social revolt. Schumpeter's view is rooted in the prevailing social philosophy of his day, a philosophy founded on that of Nietzsche, that supports the role of the elite: Society and capitalism depend on the elite, and the social and political environment should protect the status of the elite, nurture their activities, and even extend their influence in government policy. Schumpeter extolls the elite, the force for capitalist growth, while anticipating the effect of their success on the masses – the implications of the resentment of the many against the wealthy few. 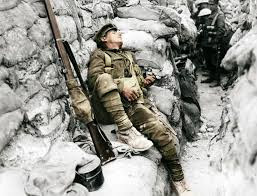 Nietzsche's theme of the elite he thus naturally pairs with another, that of “Ressentiment”: the resentfulness of the inferior for the superior, and the tendency of the many to devalue and even revolt against the successful. (A revolt that in its least disruptive and passive form Nietzsche sees taking the route of Christian faith – Nietzsche argues that Christian meekness and humility is a means for the weak and inferior to feel comfortable in their lot, even to feel morally superior to the elite). Schumpeter portrays Ressentiment as having an inescapable result; the success of the elite, especially levered by the capitalist system, leading to an increasing disparity with the masses still stuck in the status quo with their condition perhaps improving in absolute terms, but not, as is most important for the survivability of capitalism, in relative terms. Every social system is sensitive to revolt and in every social system stirring up revolt is a business that pays in case of success and hence always attracts both brain and brawn. It did in feudal times—very much so. But warrior nobles who revolted against their superiors attacked individual persons or positions. They did not attack the feudal system as such. And feudal society as a whole displayed no tendencies to encourage—intentionally or unintentionally—attacks upon its own social system as a whole. In contrast to Adam Smith, who advocated for universal education at the expense of the state as a means of lifting up those alienated by the enclosures movement in agriculture and the factory system in industry, Schumpeter sees non-vocational education as a spur to resentment and a threat to capitalism. “The man who has gone through a college or university easily becomes psychically unemployable in manual occupations without necessarily acquiring employability in, say, professional work.” University education “may create unemployability of a particularly disconcerting type” with graduates that are not well trained for any vocation, and end up with jobs and at salaries that they find beneath them. They become discontented, and “discontent breeds resentment” that in turn can lead to revolt. Schumpeter's observations echo those of Voltaire and others in Adam Smith's time who were concerned that education would lay bear their lot and thus magnify the discontent of the lower classes. Note: This post heavily draws from The Mind of the Market.